Cypher Logic Inc consists of a key group of underground construction personnel. Our team is comprised of experienced drillers, laborers and linemen. We have a combined field experience of over 20 years in underground contruction comprised of directional drilling and trenching. Our team has completed several thousand bores and trenches. Our workmanship and dedication has earned us high respect in our industry. We have the ability to perform underground construction work in a vast array of areas including but not limited to: city streets, cross country areas, roadways, railroads, and remote locations. 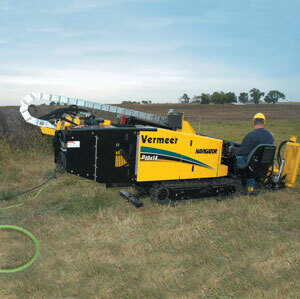 Our experience includes soil conditions such as sand, clay, dense soil and cobble ... Cypher Logic's equipment includes Vermeer and Ditch Witch brand horizontal directional drills, trenchers and plows. We have a fleet of trucks with all the necessary tools to get the job done. We also are equipped with all of the required support and safety equipment, mud systems, reamers, and navigational equipment. We are committed to good workmanship and maintaining an on time schedule. Our crews are dedicated and hardworking. Let Cypher Logic Inc. handle your next project. We look forward to talking with you about your construction projects. © 2009 Cypher Logic, Inc.